Infinix has just released a new update for Infinix Hot Note users. The last previous update which was released last month came with a lot of bugs and issues so Infinix have decided to fix those bugs with this new update and also to introduce some new features. What's New In XUI 1.N.3.1? Can a rooted fone be updated with this new infinix update? And how can the rooted fone be unrooted ??? How the screen recording works? yomitech more grace n reward to ur gud job so far I really appreciate ur effort.. Please I have a problem with my infinix x551 I once rooted it n now unroot now n I saw the update on my phone but after downloading the upadte from I try to install it but it fails twice tell me zip package failed..what do u tink is the cause? And the solutions pls..? But during the time I rooted it I flash x551 recovery image into it tru mobile uncle tools and each time I try to boot to recovery mode it fails..
Yomi tech, u are a phone saver especially hot note that are bricked. How to I use OTA upgrade? Go to your system settings and make sure you enabled "check update frequency"
Is there no way I can download d update and install it through local install. The mail functionality Outlook/IMAP/POP is gone after the upgrade. 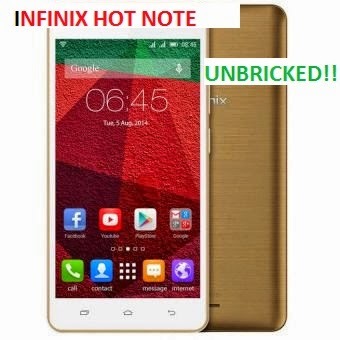 My Infinix hot note x551 wont turn on after flashing. Help plzzzzz!!!!!!!! Flash was successsful, I got the Download OK message. But after that, phone wont turn on. Even SP flash tool is now not detecting my phone. I also loaded the stock rom kitkat but tool is not detecting my phone. First, hope you flashed the right rom for your own home note variant because flashing a different ROM can corrupt your preloader. Just leave the phone for the battery to completely die off then reflash it with the right ROM.